We only spend a third of our life actually sleeping, but the art of catching z's can rule the majority of our lives. Between figuring out our circadian clock, juggling work and home, and battling insomnia-inducing factors, we can't get enough of perfecting our sleep routine. And we have good reason. Not getting enough sleep can lead to a multitude of not-so-great things. 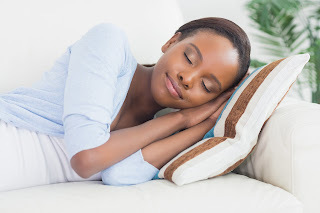 Why is sleep so important? Here are 10 consequences of not getting enough sleep. Three-hundred calories more, to be precise. A recent study found that sleep-deprived subjects, when allowed to eat whatever they wanted, ate more than when they had a full night's sleep, even though they stuck to their normal eating schedule. 2.You may not live as long. Researchers may have found the secret to long life — a study found that women who slept fewer than five hours a night were less likely to live as long as those who got more. Logically, if you are regularly consuming more calories every day it stands to reason you may weigh more, but the weight gain is not only caused by what you consume. Not enough sleep also causes stress on the body, which triggers it to slow metabolism and store fat. 4. It shrinks your brain. Researchers found that chronic insomniacs had smaller, less-dense brains, which affected crucial parts of their neurological systems like decision-making. 5. It raises your blood pressure. A study found that adults who missed an hour of sleep each night for five years ended up increasing their risk for hypertension by almost 40 percent. 6. It increases your risk of getting sick. Not enough shut-eye has been proven to leave people susceptible to cold viruses. 7. It can worsen your memory. Ever feel like you can't remember your to-dos after a night of tossing and turning? Those REM waves we experience at the beginning of a sleep cycle can boost memory and creativity, so if you've underslept the night before, try a quick power nap to recoup some of your memory skills. 8. You'll skip your workouts. Lack of sleep means lack of energy, which probably means lack of gym time. In fact, research has shown that sleep deprivation is a key reason people stay inactive. 9. It makes you cranky. Or, as researchers say, more "primitive." Without sleep, we revert back to a more primal version of ourselves, meaning we can't appropriately cope with emotions or respond maturely to situations. 10. You're not on your game. On top of all these consequences, not enough sleep just makes us feel, well, blah. We've all found ourselves reacting less quickly after a sleepless night, not to mention foggy-headed.